Lauren Oliver Photography - The Blog: "Your Child In Pictures" and My First Image Published!! 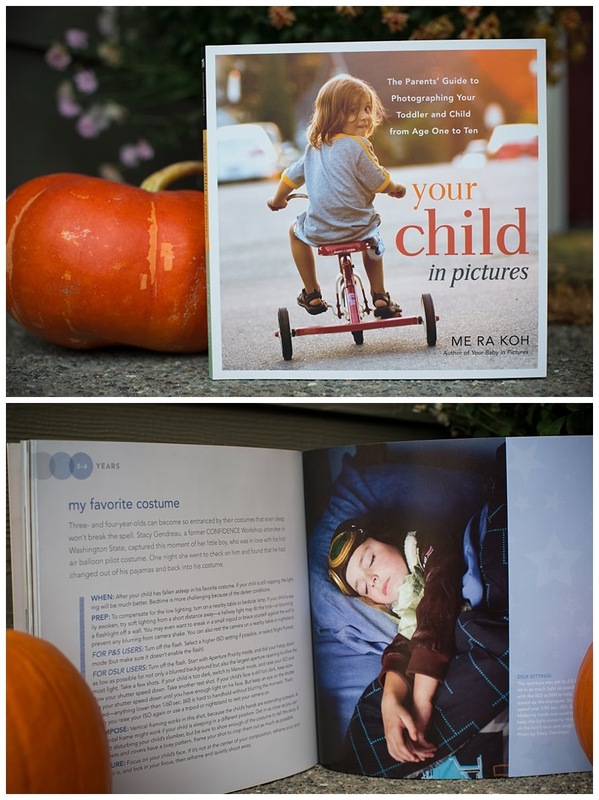 "Your Child In Pictures" and My First Image Published!! SO, I'm kind of freaking out right now. Like, 'pinch myself is this really in front of my face' sort of thing. MeRa Koh is a an amazing photographer, outstanding writer, devoted mom, creative teacher and an inspiration to many! I attended her Confidence workshop nearly three years ago which truly propelled me toward launching my own photography business the same year. MeRa published "Your Baby in Pictures" a few years back (be sure to check it out) and the second in her series, "Your Child in Pictures", was released last week. It's is FULL of awesome ideas and tips for photographing all the important milestones of your child, ages 1-10. Last summer (2012), she put a call out for submissions for her book. I decided to go for it and sent one of my most FAVORITE photos of my son, dressed up as a Hot Air Balloon Pilot. Quite honestly, when he was 4, I took SO many pictures of him sleeping. It was the only time he was still. This particular night I put him to bed in his jammies, came back to check on him and found him conked out BACK in his costume (which I'm sure he wore for a month straight). Long story short, about a year ago I got an email saying my image had been chosen to be featured in MeRa's new book. I was so honored and totally not telling a soul until I saw it for real, in front of my face. Today, it was on my door step!!!!! EEK!!! Do NOT hesitate to buy this book. You will love having it on your bookshelf. Thank you MeRa and congratulations on the launch of your fantabulous book!!! !